Reuben Riffel. The boy from Groendal owning his own space in Franschhoek and doing what he loves, on his own terms. There is something so very right about all of this. 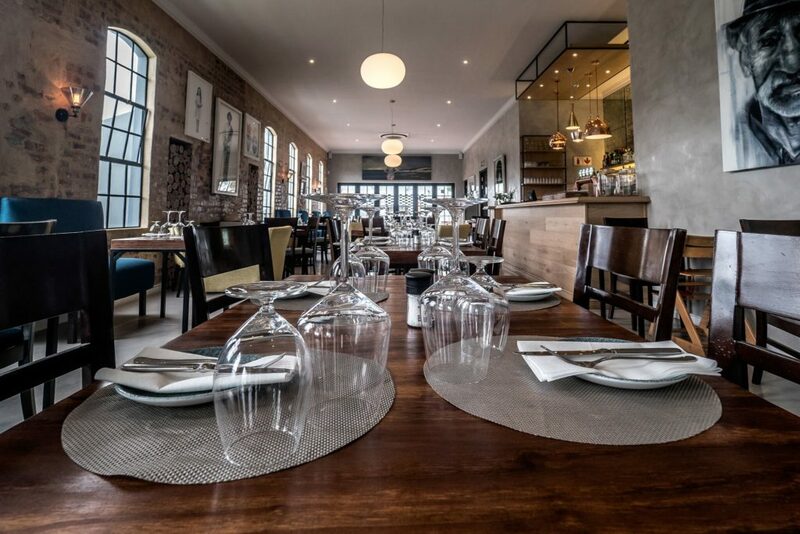 Reuben’s Restaurant and Bar in Daniel Hugo Street, Franschhoek, has high ceilings, large windows and feels open and welcoming, but it is also cosy and comforting. Informal even. 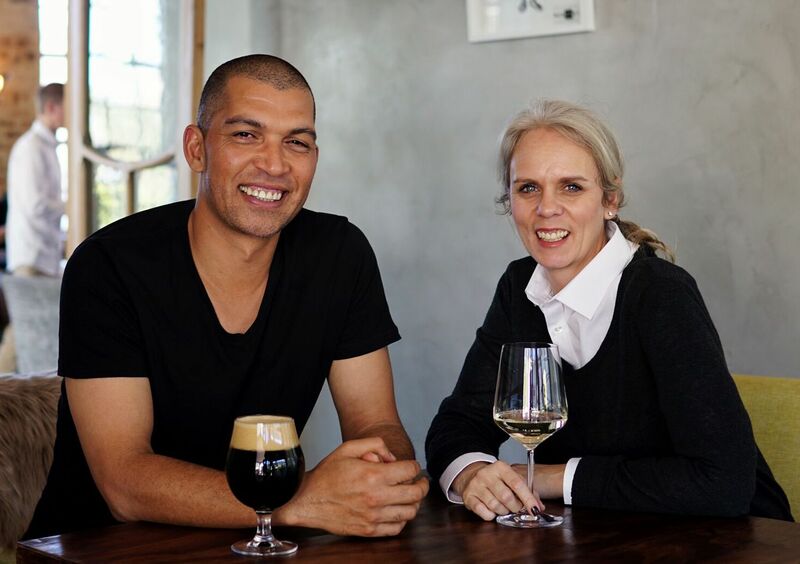 It’s the kind of place where, according to Reuben Riffel, groups of families and friends should come and enjoy good food and one another’s company. The glass entrance hall offers striking views of the Franschhoek mountains on the one side and an impressive wine cellar on the other. Guests have the choice of the seating in the main casually elegant restaurant area, or outside in the spacious courtyard. There is also a private dining room which can accommodate 16 people should you want to have a private function. But wherever you sit, and whatever the surroundings, it is the food, as always that will impress you most. And there is so much to enjoy here. The Poke Bowl from the extensive Starter/ Small Plates section of the menu is a beautiful new addition consisting of beetroot smoked Franschhoek salmon trout, wasabi, pickled ginger, compressed cucumber, sesame and yuzu soy. 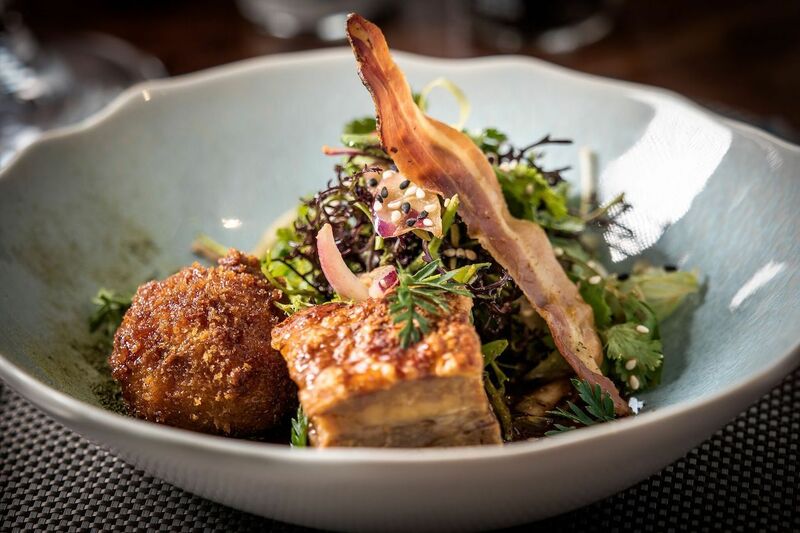 Mains are a mouthwatering selection of the likes of Springbok steak with butternut-honey, bacon candy, walnuts, pickled cabbage and game sauce. Or of Braised Beef Oxtail & Cheeks served with pomme puree, crispy sweetbreads, peanuts and chilli. 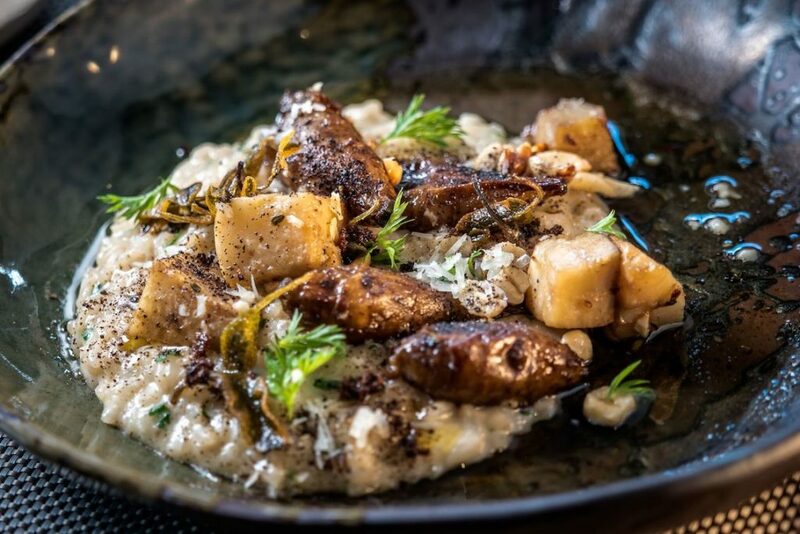 Or Spinach Risotto with pine nuts, celeriac, butternut, burnt butter and grand brie. 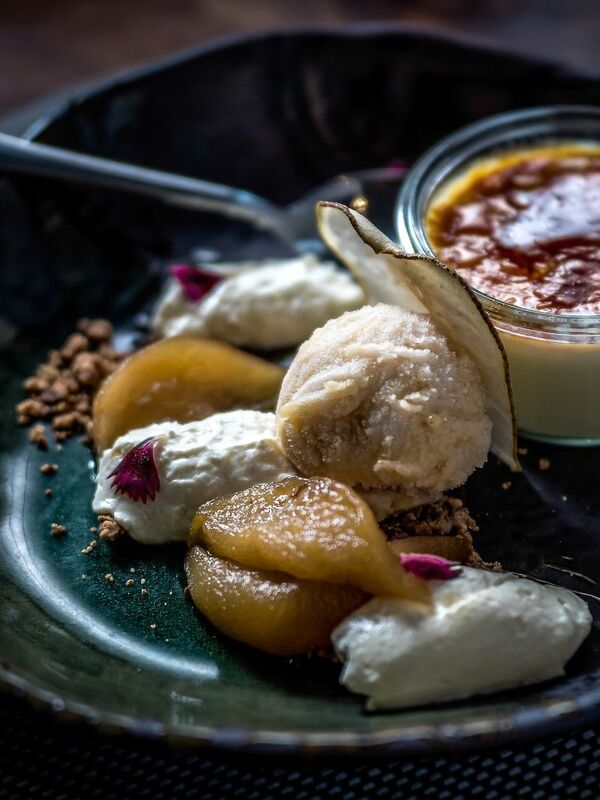 Desserts are delicious, with offerings such as Lemon Yuzu Tart, Spiced Créme Brûlée, Warm Chocolate Fondant and Baked Camembert. Reuben’s Restaurant and Bar is situated at 2 Daniel Hugo Street, Franschhoek. Open Monday to Sunday (closed Tuesdays) for lunch from 12 m to 3pm and for dinner from 6.30pm to 9pm.